Ovince Saint Preux earned a rousing ovation from his home state crowd in Tennessee as he earned a hard-fought submission to put away Marcos Rogerio de Lima on Saturday night. 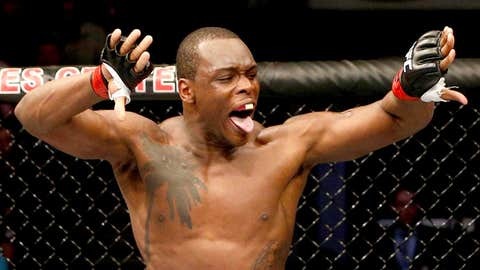 Saint Preux was in dire circumstances going into the night following a trio of losses in the UFC, which marked the toughest run during his professional fighting career that started back in 2008. De Lima missed weight on Friday by four pounds and looked more like a heavyweight stepping into the Octagon against Saint-Preux. 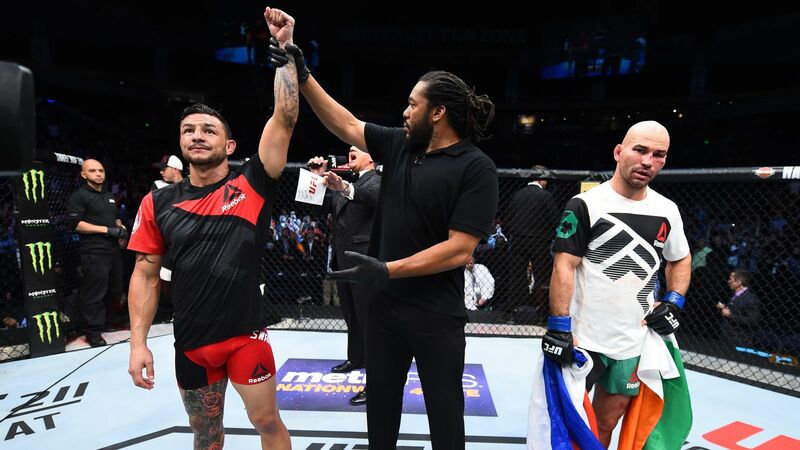 The Brazilian wasted no time using that size and power as he stalked Saint Preux across the Octagon while unloading a series of hard, stinging leg kicks. The kicks then set up the punches with de Lima cracking Saint Preux with a couple of combinations that clearly put the Tennessee native on his heels. While de Lima was winning the exchanges on the feet, Saint Preux was undeterred and he found a home for a few of his best punches towards the end of the round, including a shot that opened up a cut on his opponent’s cheek. As much as the opening round didn’t go his way, Saint Preux turned things around in a major way in the second as he plowed forward and took de Lima to the mat, pinning him against the cage. Saint Preux hammered de Lima with some hard shots, opening up a cut over the eye as the Brazilian tried to grab onto his head to prevent any further damage. Unfortunately, de Lima’s best attempt to slow down Saint Preux put him in the perfect position for the rarely used Von Flue choke — named after former “Ultimate Fighter” contestant Jason Von Flue. Saint Preux saw the opening and pressed down with his shoulder as de Lima started to grimace from the pressure before he tapped out to signify the end of the fight. It was a much-needed win for Saint Preux, who had lost his last three bouts in a row including a short notice bout against former light heavyweight champion Jon Jones last year. Following the win, Saint Preux’s coach suggested a new moniker for the submission that he aptly named “the Von Saint Preux choke”. Considering Saint Preux is the first fighter in UFC history to finish two opponents with that submission it seems only fitting that the name would at least partially belong to him.